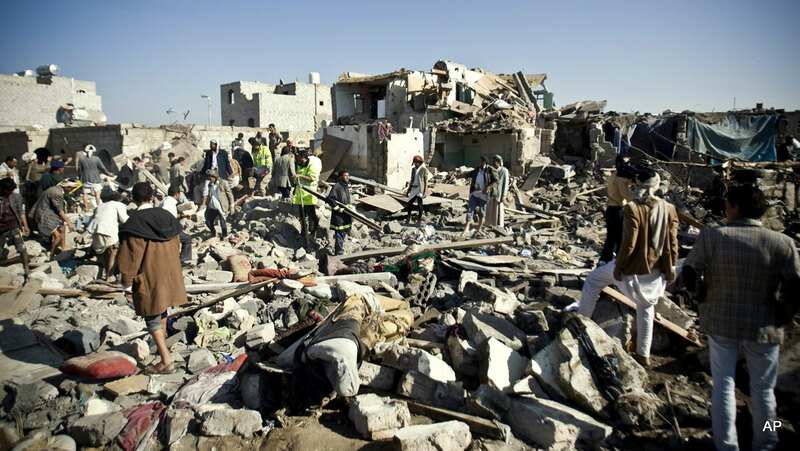 Yemen, one of the Arab world's poorest countries, has been devastated by a war between forces loyal to the internationally-recognised government of President Abdrabbuh Mansour Hadi and those allied to the Houthi rebel movement. More than 6,800 people have been killed and 35,000 injured since March 2015, the majority in air strikes by a Saudi-led multinational coalition that backs the president. The conflict and a blockade imposed by the coalition have also triggered a humanitarian disaster, leaving 80% of the population in need of aid. The Houthi movement, which champions Yemen’s Zaidi Shia Muslim minority and fought a series of rebellions against Mr Saleh during the previous decade, took advantage of the new president’s weakness by taking control of their northern heartland of Saada province and neighbouring areas. 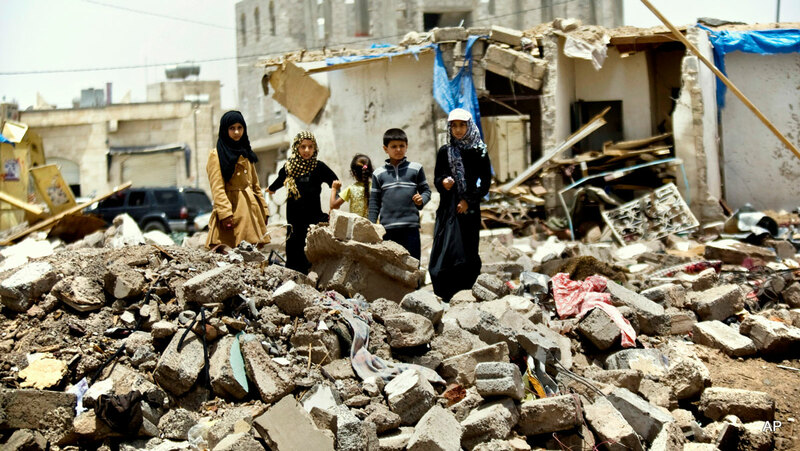 Disillusioned with the transition, many ordinary Yemenis – including Sunnis – supported the Houthis and in September 2014 they entered the capital, Sanaa, setting up street camps and roadblocks. In January 2015, the Houthis reinforced their takeover of Sanaa, surrounding the presidential palace and other key points and effectively placing Mr Hadi and his cabinet ministers under house arrest. The Houthis and security forces loyal to Mr Saleh then attempted to take control of the entire country, forcing Mr Hadi to flee abroad in March 2015. The coalition received logistical and intelligence support from the US, UK and France. After more than a year-and-a-half of fighting, no side appears close to a decisive military victory. Pro-government forces – made up of soldiers loyal to President Hadi and predominantly Sunni southern tribesmen and separatists – were successful in stopping the rebels taking Aden, but only after a fierce, four-month battle that left hundreds dead. Having established a beachhead, coalition ground troops landed in Aden that August and helped drive the Houthis and their allies out of much of the south over the next two months. Mr Hadi and his government returned from exile at the same time and established a temporary home in Aden. But in the past year, despite the air campaign and naval blockade continuing unabated, pro-government forces have been unable to dislodge the rebels from their northern strongholds, including Sanaa and its surrounding province. The Houthis have also been able to maintain a siege of the southern city of Taiz and to continue firing missiles and mortars across the border with Saudi Arabia almost daily. Jihadist militants from al-Qaeda in the Arabian Peninsula (AQAP) and rival affiliates of so-called Islamic State (IS) have meanwhile taken advantage of the chaos by seizing territory in the south and stepping up their attacks, notably in government-controlled Aden. What’s been the impact on civilians? Civilians have borne the brunt of the fighting and repeatedly been the victims of what activists have described as serious violations of international law by all parties. By early October, at least 4,125 civilians had been killed and 7,207 others injured, according to the United Nations. With just under half of the population under the age of 18, children constituted a third of all civilian deaths during the first year of the conflict. The destruction of civilian infrastructure and restrictions on food and fuel imports have also led to 21 million people being deprived of life-sustaining commodities and basic services. The UN says 3.1 million Yemenis are internally displaced, while 14 million people are suffering from food insecurity and 370,000 children under the age of five are at risk of starving to death. More than 1,900 of the country’s 3,500 health facilities are also currently either not functioning or partially functioning, leaving half the population without adequate healthcare.